NORM-JECT ® syringes are latex free, contain no rubber, no silicone oil, styrene or DEHP and are DNA free. These syringes are the choice for any situation needing an inert, non-reactive syringe. Because of their composition they are indicated for Nuclear Medicine, Amniocentisis, IVF, embryo-transfer, chromatography and many laboratory procedures. They are more chemically resistant than rubber tipped syringes. Manufactured only from laboratory grade polypropylene and polyethylene. 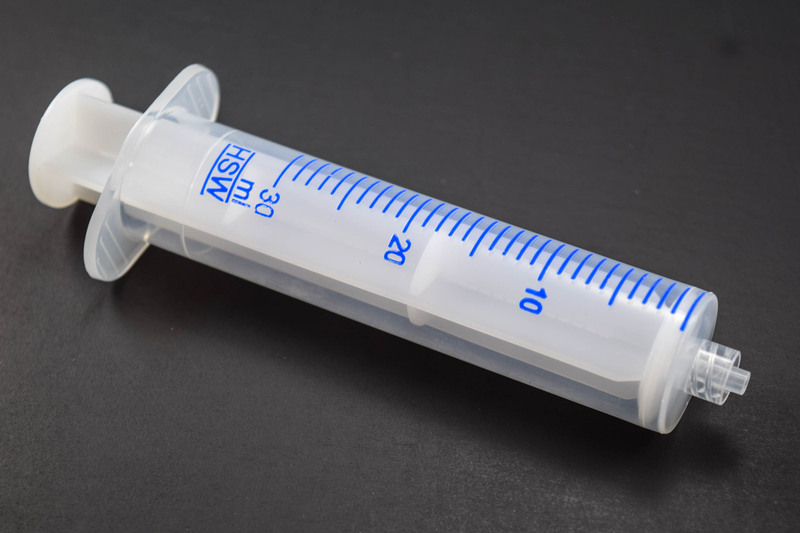 These unique plastic syringes have a positive safety stop to prevent accidental spills. These NORM-JECT ® syringes packaged BULK, NON-STERILE. ISO certified. Take advantage of a bulk discount (save $3.00 per box) by ordering by the case instead of by the box (16 boxes per case).